These have been my favorite mornings lately. 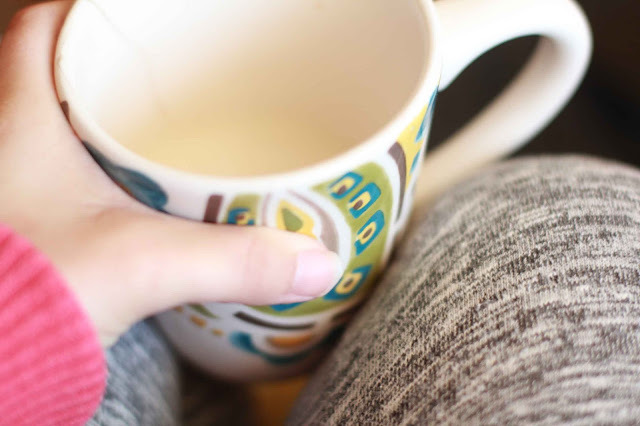 I brew a mug of tropical tea, add a splash of coconut creme with half and half, and sip it while I write in my journal and have some quiet time. Most mornings it happens super early because the kids have been getting up anywhere from 6:00 to 6:30. You know that joke that a yawn is a silent scream for coffee? It's completely true! I like having some time to find calm before I start in with the busyness of the day. No one wants to be silently screaming! School will be starting very soon and I appreciate having a mental routine already set for myself to avoid some of the early morning chaos that is too familiar! One of my favorite gifts from my mother-in-love. It's one of my dearest books. 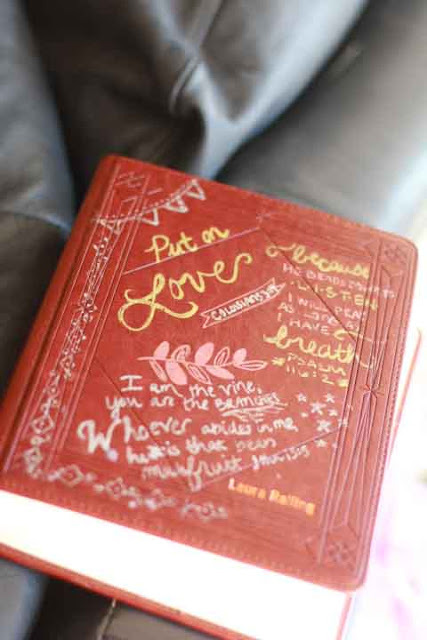 It's a joy to read from it,write and doodle in it. Currently, I am writing verses out in my notebook. There is so much calm in my day! Some things are just synonymous with "cozy" in my mind. One of them is fuzzy socks. I have them on my Christmas list every year and make good use of them. During the winter, I am one of those weird souls who will even mix and match them just to have warm toes. These ones are my favorite right now. I joke that I wish I had not a mood rock for our children, but a time rock that would let me know when they will be up. So far, it seems like it's going to stay in the 6:00 hour. Craziness. It feels so early!! This has been a life-saver though. Serious gem here! His (right) and hers (left). I've found that I'm not groggy the next day like I normally can be. I feel refreshed, which is pretty awesome. It's crazy not needing coffee right away. 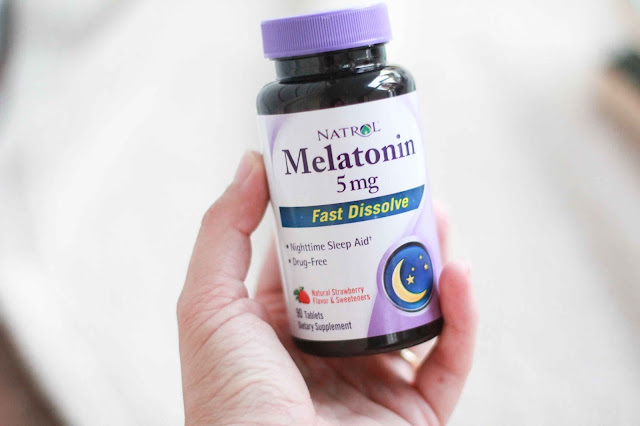 Yay for restful sleep! What starts your morning out on a good note? 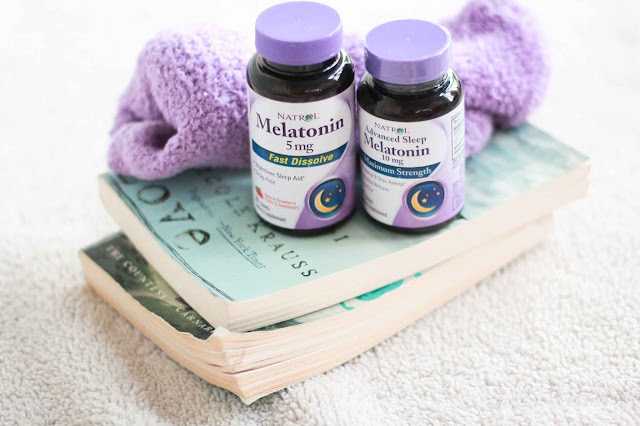 Natrol is giving away a free sleep kit that includes fuzzy socks, earplugs, an eye mask, and melatonin. (Lucky you!!) To enter, just leave a comment with what *your* favorite things are in the morning! If you like savings, head here for a $2 off coupon! Also, I have those mugs!